in which i narrowly avert a major disappointment. the book "encyclopedia of modern sewing" has been one of my favorites for many years. 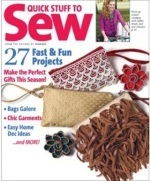 when published, it was in fact a comprehensive book on how to sew just about anything that could be sewn. (it still is--but that's a thought for another post). from time to time i pull this book off the shelf just to browse, and as so often happens, something will catch my eye that i had previously not been at all interested in. this time, it was luncheon sets. and i had just the fabric for it--a piece of adorable apron-themed cotton that my sweet friend mamafitz had sent me some years ago and that had risen to the top of the stash in my ongoing war against clutter. it was exactly the right size for this project, so there would be no waste! whenever you say to yourself, "this piece of fabric is exactly the right size for this project, so there will be no waste! ", just do yourself a favor and take a moment to collect your thoughts so you can begin planning how you will proceed when you discover you have cut the first piece along the wrong edge and have thus ruined any possibility of cutting the rest of the set out of the remainder of the fabric. so--after collecting my thoughts, i cut the rest of the fabric into napkins--there was enough fabric left to cut 6 luncheon-size napkins, so i went with that in the belief that somehow i'd figure out what to do to make things right. i started rolling the edges on my serger, silently berating myself for not having paid closer attention to what i was doing when i had started cutting the fabric. and i knew exactly how i was going to fix my mistake. and by the end of the day, i will have my luncheon set. *what was your most recent mistake? how did you fix it?